New York Becoming Pressure Cooker – Arch of Baal To Increase Violence – Coercion Code – "Dark Times are upon us"
The bomb detonated on Saturday in New York, and another device found nearby, were both shrapnel-filled pressure cookers – similar to the bombs used at the 2013 Boston marathon, reports say. Citing officials, separate reports said both had mobile phones and Christmas lights as makeshift detonators. 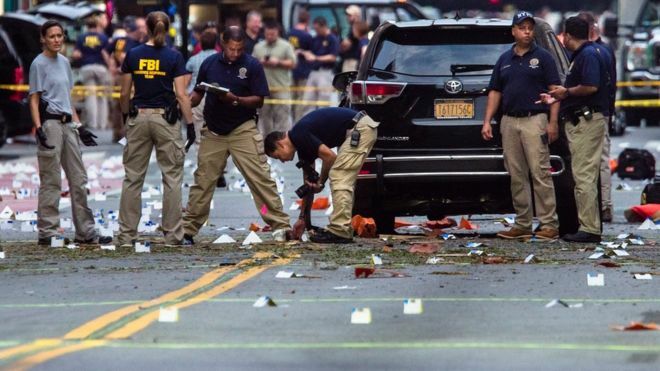 The blast, in the Chelsea area of Manhattan, injured 29 people. The FBI said it stopped a “vehicle of interest” in Brooklyn on Sunday but made no arrests. Unconfirmed media reports said five people in the car were taken into custody for questioning. The second device was found four blocks from the site of the explosion and was removed and later destroyed in a controlled explosion. New York governor Andrew Cuomo said it appeared to be “similar in design” to the exploded device. Both were different from a pipe bomb that detonated earlier on Saturday on the route of a charity race in New Jersey, Mr Cuomo added. That explosion caused no injuries. “We know there was a bombing. We know it’s a very serious incident. But we have a lot more work to do to be able to say what kind of motivation was behind this. Some 1,000 extra security personnel are being deployed to New York’s transport hubs, police said. 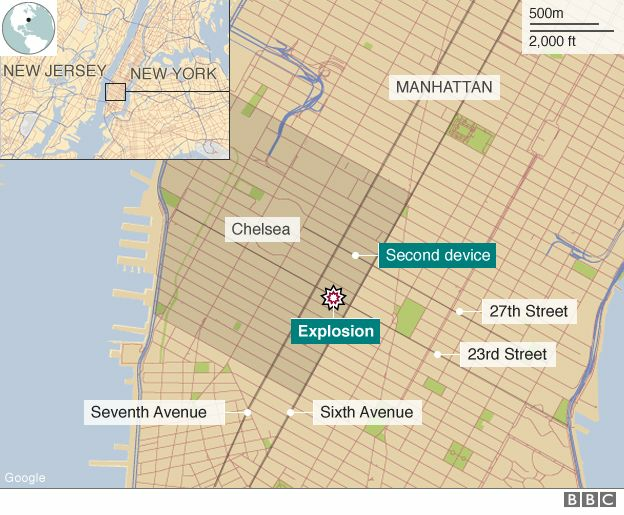 The Chelsea explosion occurred at about 21:00 (01:00 GMT on Sunday) on West 23rd St. The force of the blast blew out windows and could be heard several blocks away. 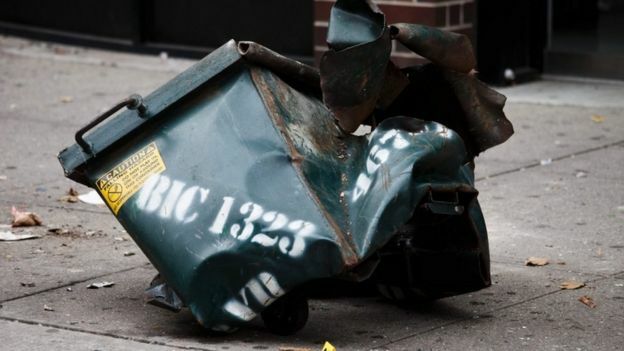 Some reports said the bomb went off in a black metal construction toolbox, others that it was in a rubbish bin. Mr de Blasio said there would be a “bigger than ever” police presence in New York in the coming week. On Tuesday, President Obama and other world leaders are due to attend the UN General Assembly in New York. 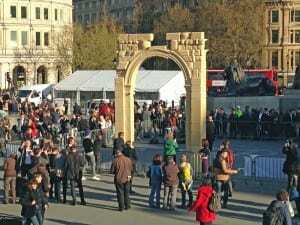 In March, the Institute announced they would be erecting full-size reproductions of the arch in London’s Trafalgar Square and New York City’s Time Square for the UNESCO Heritage Week. The 15-meter tall full-size reproduction is made using proprietary 3-D printing techniques. The IDA is recreating the partially destroyed arch as a showcase for new technology and, ironically, as a symbol of protest against religious extremism. The reproduction did go up in London as planned on April 19 during UNESCO Heritage Week, which coincided disturbingly with Beltane, a major pagan festival for worshiping Ba’al. The New York presentation was reportedly cancelled, but has now reappeared. The IDA announced the upcoming exhibit on its website. 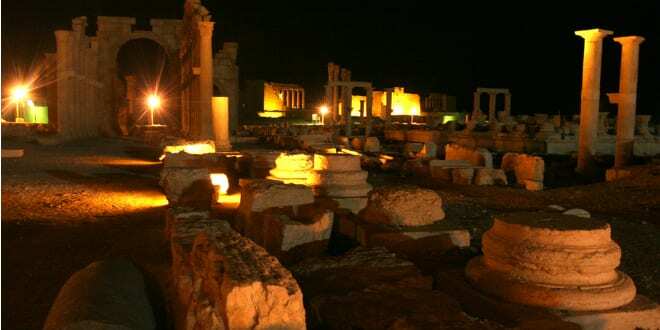 The announcement failed to specify the main aspect the destruction of the Palmyra Arch and New York City’s architectural losses have in common: Islamic extremism.